The Autism Diagnostic Observation Schedule—Generic (ADOS-G) is a semistructured, standardized assessment of social interaction, communication, play, and imaginative use of materials for individuals suspected of having autism spectrum disorders. The observational schedule consists of four 30-minute modules, each designed to be administered to different individuals according to their level of expressive language. Psychometric data are presented for 223 children and adults with Autistic Disorder (autism), Pervasive Developmental Disorder Not Otherwise Specified (PDDNOS) or nonspectrum diagnoses. Within each module, diagnostic groups were equivalent on expressive language level. Results indicate substantial interrater and test—retest reliability for individual items, excellent interrater reliability within domains and excellent internal consistency. Comparisons of means indicated consistent differentiation of autism and PDDNOS from nonspectrum individuals, with some, but less consistent, differentiation of autism from PDDNOS. 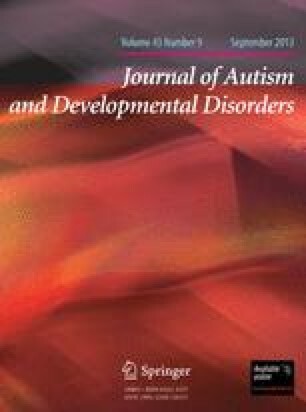 A priori operationalization of DSM-IV/ICD-10 criteria, factor analyses, and ROC curves were used to generate diagnostic algorithms with thresholds set for autism and broader autism spectrum/PDD. Algorithm sensitivities and specificities for autism and PDDNOS relative to nonspectrum disorders were excellent, with moderate differentiation of autism from PDDNOS.